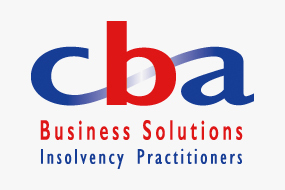 The primary objective for CBA is to put you on the road to recovery without the need for formal insolvency processes. All businesses face challenges at some point but how effectively and timely these issues are dealt with will often determine the ultimate success or failure of that business. During these stressful times it can often be overwhelming for the management team and difficult for them to see the wood for the trees. This is where our advice can add significant value, in much the same way as a business would call on other professional advisors in times of need. During a free initial consultation we can use our extensive experience to complete a business review allowing us to quickly get to the root of the problem and provide instant feedback. We will be able to consider a range of options available to you and if we are consulted early enough these will usually avoid the need for any formal insolvency processes. We will also be in a position to prepare a full and transparent fee proposal for the work required. With flexible fee structures we can work with your business to integrate the payment of any fees into our proposals, taking away the worry of further escalating costs. We understand that time is always critical in distress situations and we will be on hand to give your situation our full attention. We can also liaise with our network of trusted professionals to assist where necessary with refinancing, legal assistance and many other areas. 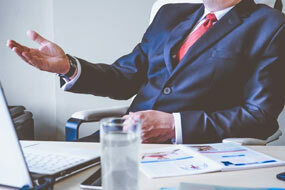 These advisers are carefully selected to be able to support and assist within short timescales, with flexible fee plans and experience in dealing with the unique issues of a distress situation. This support allows you and your management team to return your focus to running the business and concentrating on its key aspects to make a return to profitability and stability. We are always happy to work alongside other professional advisors and this includes turnaround advisors. In fact we often refer matters to these professionals to assist with ongoing support to the business long term. However, we would always advise directors to take great care to ensure any unregulated advisor is fully recommended and qualified to provide the advice required. Insolvency Practitioners are licenced and must adhere to strict practicing regulations and guidelines. We are required to undergo regular training and monitoring and will be fully up to date to advise on all the options available. In choosing a licenced practitioner not only can you be assured that Regulatory bodies will deal with any complaints but by engaging us at the very start you can be assured that there will be no duplication of work resulting in unnecessary fees should a formal insolvency process be required later down the line. 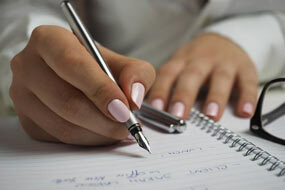 Only licenced Insolvency Practitioners can carry out formal insolvency processes. Administration serves as a rescue procedure for insolvent businesses which allows them to continue to function and carry our the day to day running of the business. Administration is seen as an alternative or a predecessor to liquidation. In order for a company to be put into administration there must be an administration order. Once a company is in administrative receivership a administrator operates the business on behalf of the creditors. If you have any questions regarding our administration services in Leicester, then please contact the team today. Whether it be formal or informal, a rescue process is most effective when done as early as possible. If you have any questions regarding our business recovery Leicester services and are in any doubt please contact us now to discuss your options. If you have concerns about your business do not hesitate to contact us for free professional advice. The sooner you act the more options you may have. For specific advice relevant to your circumstances contact us for a free consultation, without obligation. Our team of advisors are all highly experienced specialists dedicated to helping you and your business. 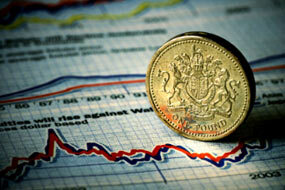 We are a fully licensed firm of Insolvency Practitioners.